CEO Luc Falempin joined Security Token Academy’s Director of Programming Adam Chapnick for an interview during Security Token Industry Launch Week in New York, hosted by Security Token Academy. Tokeny CSO Daniel Coheur speaks at the panel discussion took place at Security Token Industry Launch Week with Jamie Finn, President of Securitize; Chris Housser, Co-Founder of Polymath and Timo Lehes, CIO at Swarm Fund. Anthony Provasol, Partner at Hassans International Law Firm discusses ICO risk and how to avoid it. He also explains how the Tokeny SICOP can help determine the ICOs that are safe to invest in. Head of Business Development of Tokeny discusses the process Tokeny offers to ICOs (SICOP) to provide an independent verification. He also talked about how SICOP compliance can be used in an ICO to give investors more confidence. 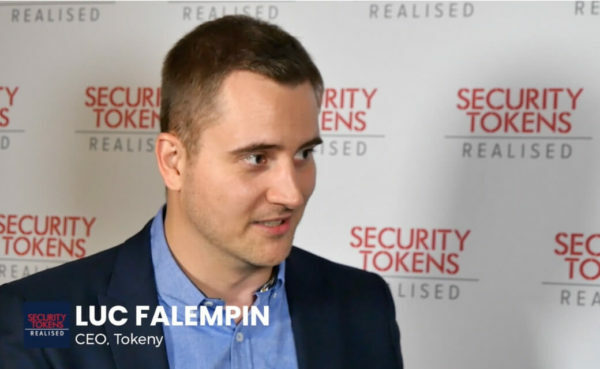 Tokeny CEO Luc Falempin talks about Tokeny’s Tokenization Platform and de-risking ICOs.